What do you think of the new Music? I was thinking that Jazz might be more my style. I have a kind of relaxed delivery, and a more relaxed theme song might work. Let me know. As with most things about podcasting, everything is changeable. I got a note from Paul Figgiani who was THE Senior Audio Engineer at IT Conversations. He was commenting about the audio loudness standards and knows a metric TON about this stuff. I’m hoping to convince him to come on the show and talk about it some more. It would also be fun to talk to him about the Podcasting World of 2004. He was there from the beginning (maybe even before the word “podcast”). Even the US Air Force uses the WordPress 2014 theme! (see: http://airforcelive.dodlive.mil/) If it’s good enough for them, it’s good enough for podcasters. If your website is existing and you want to add podcasting. If you require a complicated wordpress theme or are on a different platform. Build a landing page. 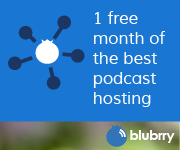 A separate wordpress install for your podcast in either a sub-domain or a sub page. This way you can use powerpress and all the other standard plugins for your podcast. The Podcasts app is now included in iOS 8. To help you reach this larger audience more effectively through search and browsing, be sure your podcast’s metadata and cover art meet Apple’s technical specifications. 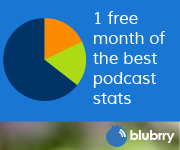 To submit your Podcasts to the iTunes Store, you must have cover art of at least 1400 x 1400 pixels in the RGB color space and in the JPEG or PNG file formats. Additionally, the server hosting your cover art image must allow HTTP HEAD requests. The Podcasts app now supports HTML links in podcast and episode notes. This new option also supports iTunes affiliate links. The iTunes affiliate program allows you to track downloads of free items and earn commission on items purchased by customers, including on the iTunes Store, App Store, and iBooks Store. By default, podcast episodes appear on the iTunes Store in reverse chronological order based on the tag value. You can change episode order by setting the tag value to the order in which you’d like the episode to appear. For example, for an you’d like to appear as the first episode of the podcast, use the number 1 as the tag value. If the same order number is used by more than one episode, those episodes will revert to chronological order based on . For more information about these new features and requirements, see Making a Podcast. I uploaded my new episode and it’s available on stitcher and it’s not on my iTunes listing. Whats wrong? The iTunes store listing and what appears in your feed are two different things. People that subscribe to your feed in iTunes will get the new episodes as you post them but the listing at iTunes can lag by a few days (or up to a week or so) behind your feed.